The government's efforts to talk to social partners and match different interests are welcome, however, implementation of the National Agreement, which was signed on Monday, is questionable, as it may not secure support among other political forces, says professor Vitalis Nakrošis of the Vilnius University's International Relations and Political Science Institute. "This is not a specific binding document and it is not an agreement of political parties, unlike the earlier agreements on European Union (EU) membership or increase of defense system financing. Therefore, it is not likely to be a very efficient agreement in terms of implementation. 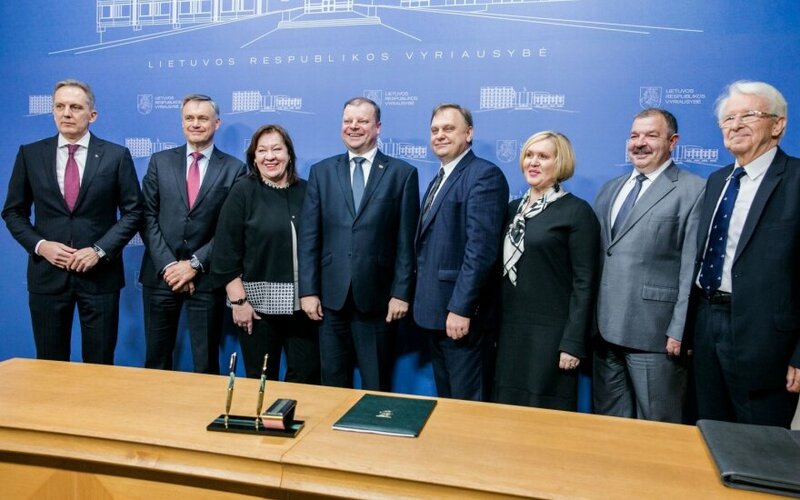 The opposition will continue opposing the implementation of the government's program in the Seimas, based on its documents," Nakrošis told BNS on Monday. The National Agreement, which was initiated during the discussion of the Labor Code last summer, was signed after the ruling coalition lost support of the Social Democratic Party. In Nakrošis' words, signing the document with representatives of businesses and trade unions is relevant in the context, as it "grants additional support to the government from social partners." Earlier on Monday, the government, business representatives and trade unions signed an agreement , declaring pledges to raise wages, cut taxes on labor and encourage collective contracts. According to the document, it will be implemented in accordance to "principles of good will, honesty, confidence and constructive dialogue," with another separate agreement to be signed on higher wages. The documents stipulates drafting of branch or territorial collective agreements until the end of next year involving employee organizations and trade unions, with negotiations started in 2019 on a national collective agreement. 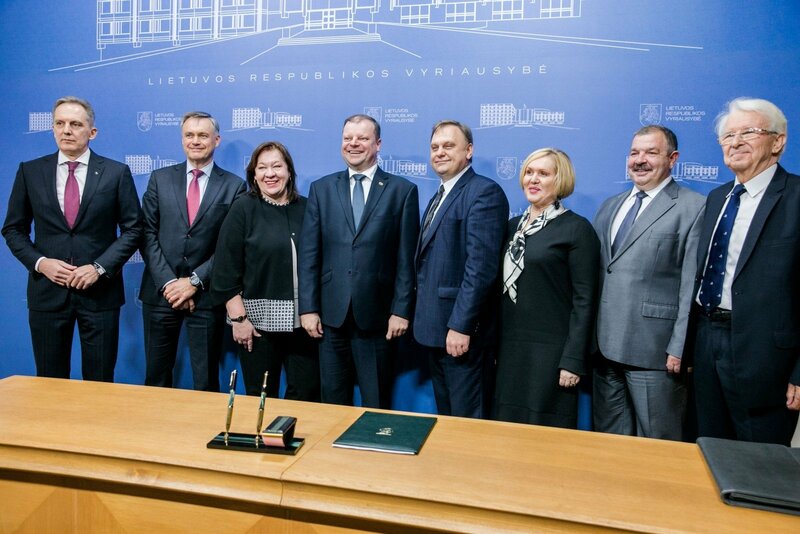 The document was signed by Prime Minister Saulius Skvernelis, Artūras Černiauskas, chairman of the Lithuanian Confederation of Trade Unions, Robertas Dargis, president of the Lithuanian Industrialists' Confederation, and heads of five more organizations.